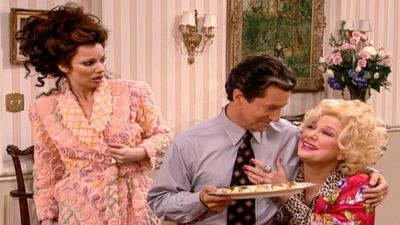 Here's where to watch every episode of The Nanny season 6. Mouseover or tap an episode to see where to stream it. Click or tap the play icon to stream it on the best available service. The Honeymoon's Overboard Sep 30, 1998 Fran and Maxwell find themselves on a desert island after falling off their honeymoon yacht. Fran Gets Shushed Oct 7, 1998 While trying to learn to live together Fran agrees to be less forward if Maxwell will learn to be less uptight. They both tryout their new personalities at a business dinner meeting. Once a Secretary, Always a Secretary Oct 14, 1998 Brighton wants to go to Atlantic City and his father is totally against it. Fran finds herself torn between being nanny and wife. Sara's Parents Oct 21, 1998 Fran dreads a visit by Sara's parents. Maggie's Boyfriend Oct 28, 1998 Fran couldn't be happier with Maggie's rich, handsome, Jewish, model boyfriend, but when they decide to move in together, Maxwell wants Fran to put her foot down. I'm Pregnant Nov 4, 1998 When Maggie thinks that she is pregnant, Fran takes her to the doctor and finds that she is the expectant mother. Mom's the Word Nov 11, 1998 Fran is excited about the news of her pregnancy though Maxwell doesn't seem to want any more children. Making Whoopi Nov 18, 1998 Fran's devastated after hearing from Dr. Reynolds she was never pregnant at all, that it was a false positive. Maxwell keeps hiding her pregnancy tests to avoid further sadness, and even invites Fran and her relatives to join him on his special appearance on the Hollywood Squares. 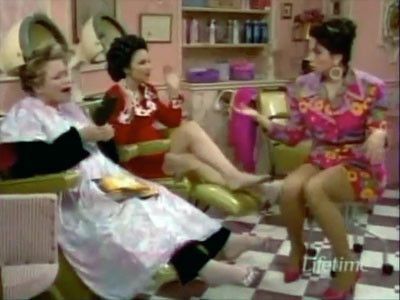 Val, Sylvia and Yetta advise Fran to go see a herbalist to help Maxwell's swimmers. At the herbal store, Fran buys a special shake that will help Maxwell's little swimmers swim faster and some special cookies that will make them hot for each other. The shake doesn't help, so Dr. Reynolds prescribes hormones for Fran, who also buys an ovulation kit. Her timing couldn't be worse when she starts ovulating right when Maxwell is up on the squares. But nothing that Whoopi Goldberg's dressing room can't fix. Meanwhile, C.C. and Niles accidentally eat the special cookies and feel hot for each other, and Val quits her brightness pills because it was making her too gassy. Oh, Say, Can You Ski? Nov 25, 1998 On a ski trip to Aspen, the Sheffields accept a dinner invitation from the President. Fran's blood test needed to get some antibiotics have some wonderful results. The Hanukkah Story Dec 16, 1998 While excited about celebrating her first Hanukkah with her new husband and family, Maxwell, C.C. and Gracie have to drive to Boston in a snowstorm. Fran is worried sick when they don't arrive on time after they run off the road. The In-Law Who Came Forever Jan 6, 1999 After Aunt Freida buys her parent's condo, the Fines move into the Sheffield mansion. The Fran in the Mirror Jan 20, 1999 After Fran lends a college buddy of Maxwell's $1 million, she hears that he is broke and has been swindling others. The Yummy Mummy Feb 3, 1999 Fran finds out that she and Maxwell are having twins and she is disturbed when Brighton doesn't want her go with him on his tour of colleges. California, Here We Come Mar 31, 1999 Maxwell is asked to turn one of his plays into a sitcom and the Sheffields might be moving to California. And her mother may be having an affair. Ma'ternal Affairs Jun 2, 1999 Fran checks into a man that his mother is seeing and coaches her father on spicing up their marriage. The Producers Jun 9, 1999 Fran tries to produce a play written by a friend of Niles and he confesses his love for C.C. The Dummy Twins Jun 16, 1999 Fran is coaching Niles in his unappreciated courtship of C.C. Finally Niles calls her pathetic and lonely after which the Sheffields find them in bed together. Yetta's Letters Jun 16, 1999 Maxwell uses Yetta's letters as the basis for a play on Broadway beating out Andrew Lloyd Webber who also wanted to use them. 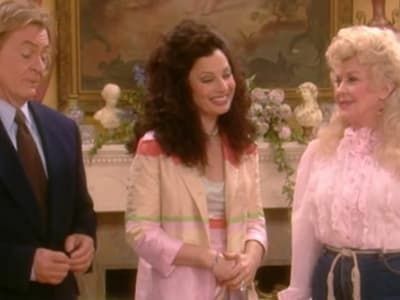 Maggie's Wedding Jun 23, 1999 Fran learns that Micheal's cousin is James Brolin and that Barbra Streisand is coming to Maggie and Micheal's wedding. Fran is so excited that she goes into premature labor almost missing Barbra. The Baby Shower Jun 23, 1999 After her fortune telling hair dresser sees Maxwell in bed with a blonde while in California Fran flies out to check on him. 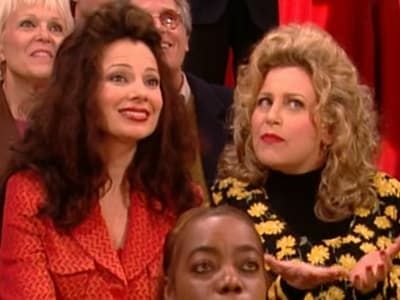 Fran Fine Sheffield also runs into actress Fran Drescher and there is a bit of a resemblance. The Finale: Part 1 May 12, 1999 C.C. flees after Niles proposes again. Fran runs after her and gets stuck in an elevator with her and goes into labor. The Finale: Part 2 May 12, 1999 C.C. and Niles get married while Fran is in labor and find out that they are also expectant parents. Maggie and Brighton head off to Europe as the Sheffields head to California with the new twins and a new life together.